My family loves All About Learning Press. We have used it for many, many years and this year we are using All About Reading Level 2 with our smallest son. I always look forward to seeing all the wonderful freebies that All About Learning Press offers and the newest freebie is just adorable! Your receiving a $10 value FREE. 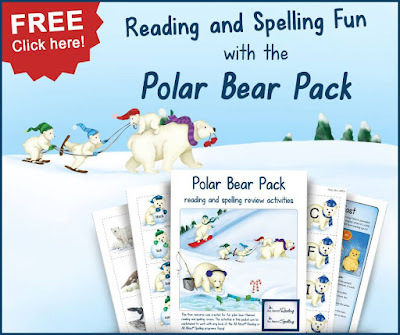 The Polar Bear Pack is a 30 page packet of polar-bear themed reading and spelling activities.